The Sen Representing Anambra Central Senatorial District, the Most Distinguish Sen Victor Umeh felicitate with Blessed Iwene Tansi Catholic Community on the Dedication of their Parish. 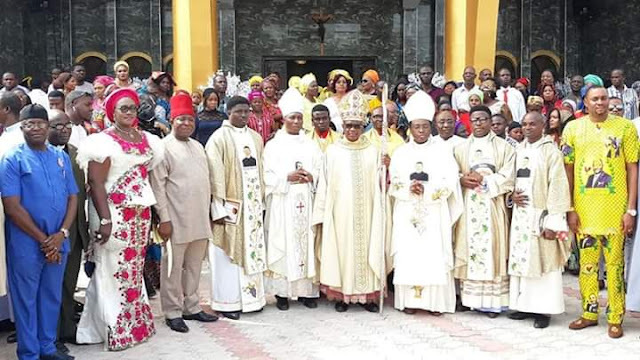 Archbishop of Onitsha, His Grace Most Rev. Valerian Okeke officiated the dedication mass with other catholic Bishop and priests present. 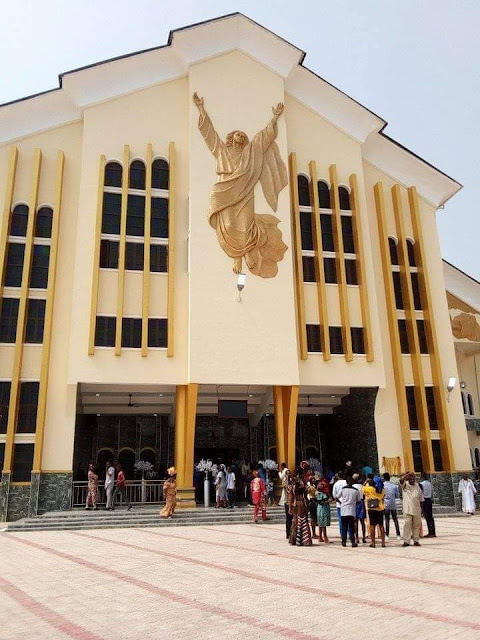 On behalf of the Family, People of Anambra Central Senatorial District, Sen Victor Umeh OFR expressed gratitude to Almighty Father for the completion of the Ultra-Modern Church. He thanked the Parish Priest, Rev. Fr. 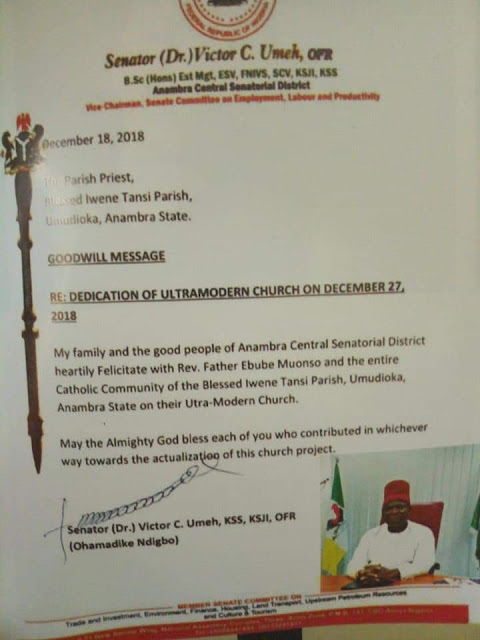 Emmanuel Obimma (Ebube MuoNso) and the parishioners for their effort and support towards building a befitting house for God. He prayed for God's blessing on those who contributed in whichever way towards the actualization of the church project.